This is an erasure poem. Source Text: Rice, Anne. “Chicago”. Ramses the Damned: The Passion of Cleopatra, Knopf Doubleday Publishing Group, 2017. This is an erasure poem. Source Text: Rice, Anne. “Alexandria”. Ramses the Damned: The Passion of Cleopatra, Knopf Doubleday Publishing Group, 2017. Melissa Eleftherion is a writer, librarian, and a visual artist. She grew up in Brooklyn, dropped out of high school, and went on to earn an MFA in Poetry from Mills College and an MLIS from San Jose State University. She is the author of field guide to autobiography (The Operating System, 2018), & six chapbooks: huminsect, prism maps, Pigtail Duty, the leaves the leaves, green glass asterisms, & little ditch. 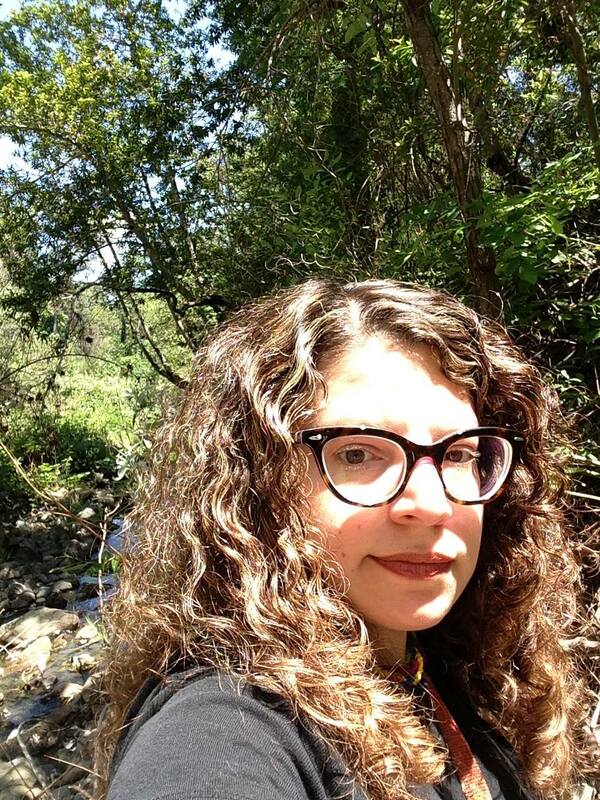 Founder of the SFSU Poetry Center Chapbook Exchange, Melissa now lives in Mendocino County where she works as a Librarian, teaches creative writing, & curates the LOBA Reading Series. Recent work is available at www.apoetlibrarian.wordpress.com.